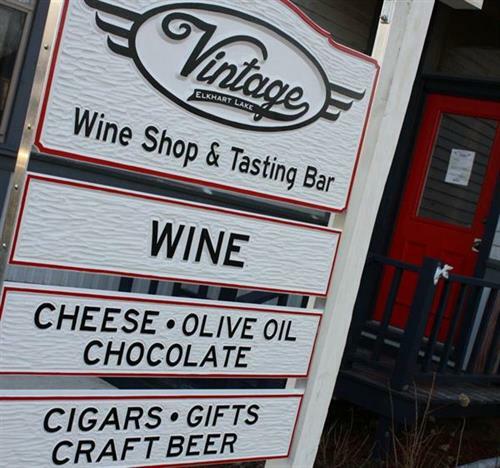 Vintage Elkhart Lake is a wine shop & tasting bar featuring over 300 wines from around the world; plus olive oils, cigars, cheeses, craft beers, spirits, & gifts. Owned by award-winning sommelier Jaclyn Stuart. We have an event and meeting space that can accommodate large groups for meetings, team building, parties, and more. Wine, Craft Beer, & Spirits from Around the Globe! Located at 100 E Rhine Street in downtown Elkhart Lake, Wisconsin.